Anyone that knows me knows that I love animals. I am that person that will stop in the middle of a sentence if I see a cute critter. Just ask my friend and colleague Teri Takata who recently admitted to me that she will purposely steer me in the opposite direction of an animal if she happens to spot it before me. 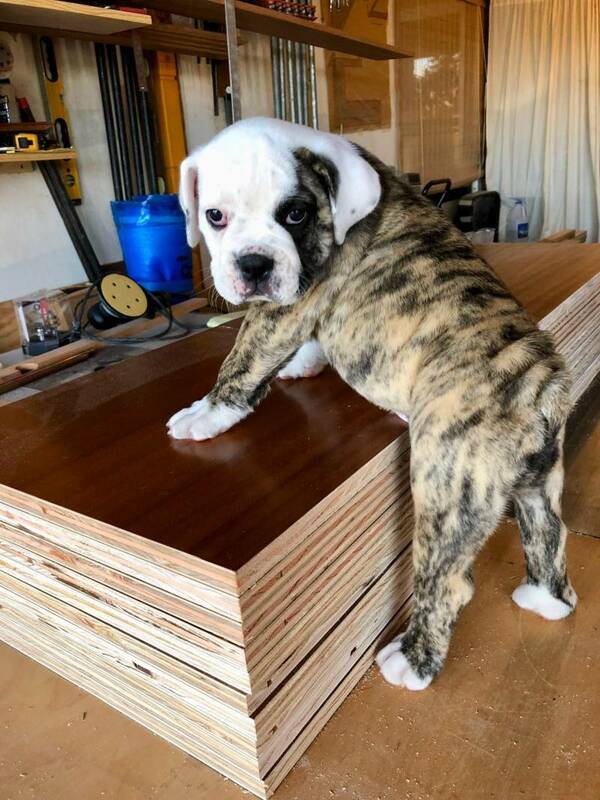 Recently, the opportunity to give this cutie a home was offered up to us. How could anyone say no to this face? We have a serious case of cuteness overload in our hale right now. It has been several years since we have had a puppy in our house and many things have changed as far as diet goes. 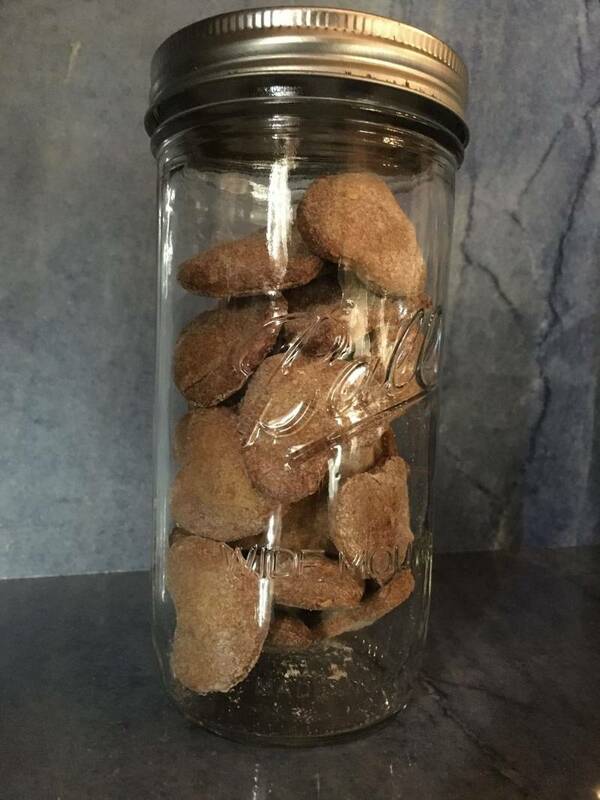 My daughter and I decided to come up with some fun and healthy DIY dog treats that we could feel comfortable feeding to our dogs. 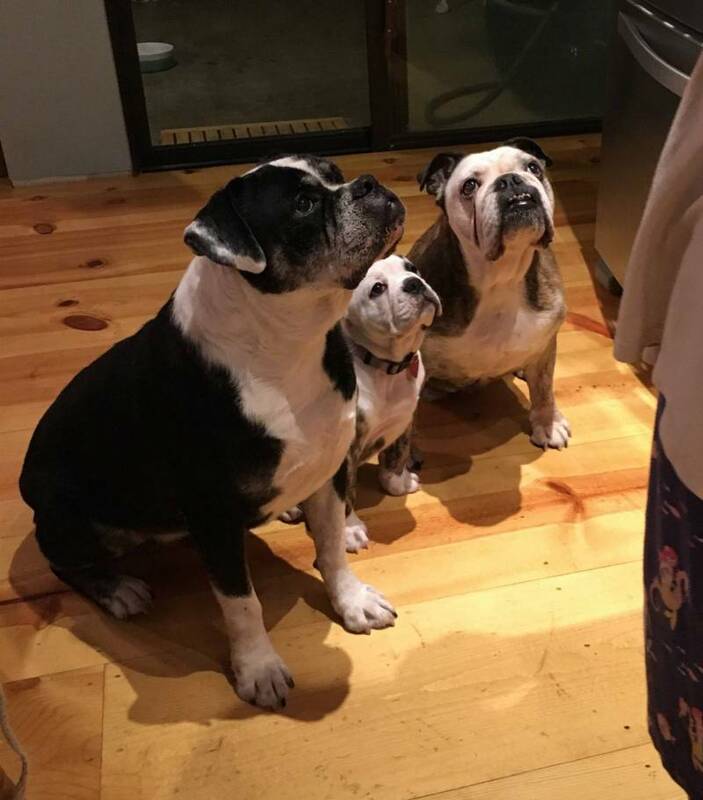 Our dogs enjoyed them so much we decided it would be fun to share. 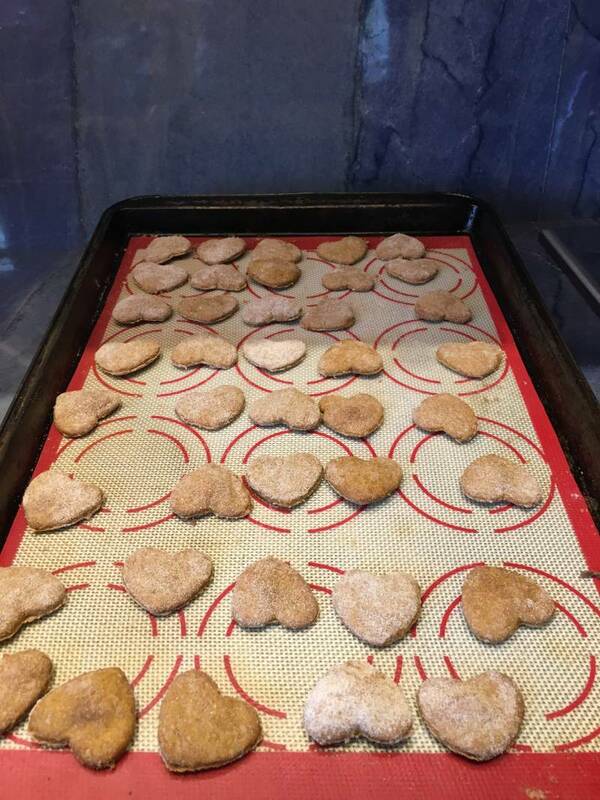 Preheat your oven to 350 degrees and line 4 cookie sheets with baking liners or parchment paper. Combine the buckwheat flour, wheat germ, and ground flax seeds together in a large bowl and set aside. In a separate bowl combine together the olive oil, pumpkin puree, and applesauce. Add the wet ingredients and dry ingredients together and mix thoroughly until everything is combined into a nice dough consistency. Roll the dough out onto a buckwheat floured surface about ¼ inch thick. 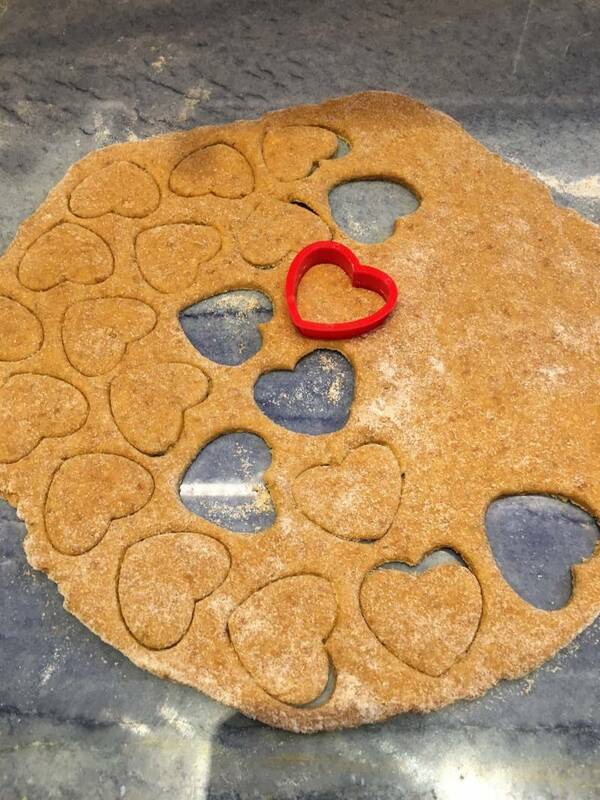 Cut the dough into fun shapes and place them about ½ inch apart on your prepared cookie sheets. Bake for 25 to 30 minutes or until dark brown. These are the only treats that you will actually want to be overdone and crispy. Make sure they are completely cooled before letting your dog enjoy. If you have any fun DIY pet treat recipes that you are open to sharing, please do so here on this blog or email me directly, and I’d be happy to share them for you.